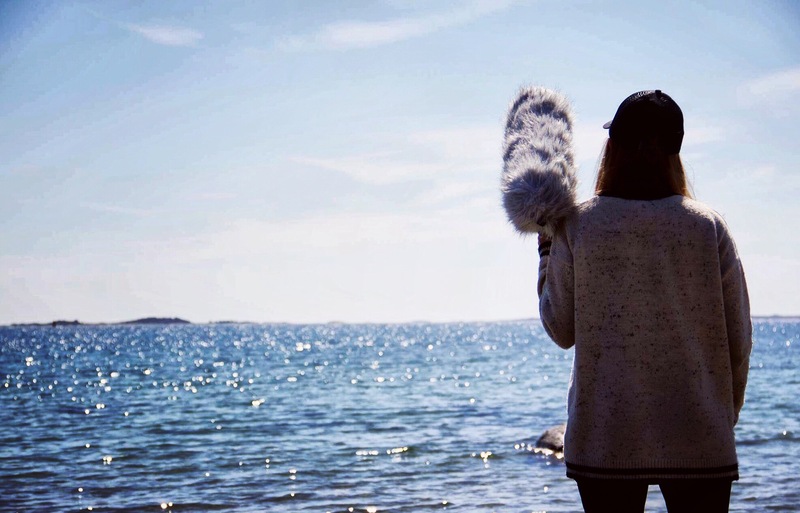 Composer and Sound artist from Värmdö, Sweden. I make music to all kinds of media ranging from games/media to sound installations and art music pieces for different ensembles and orchestras. 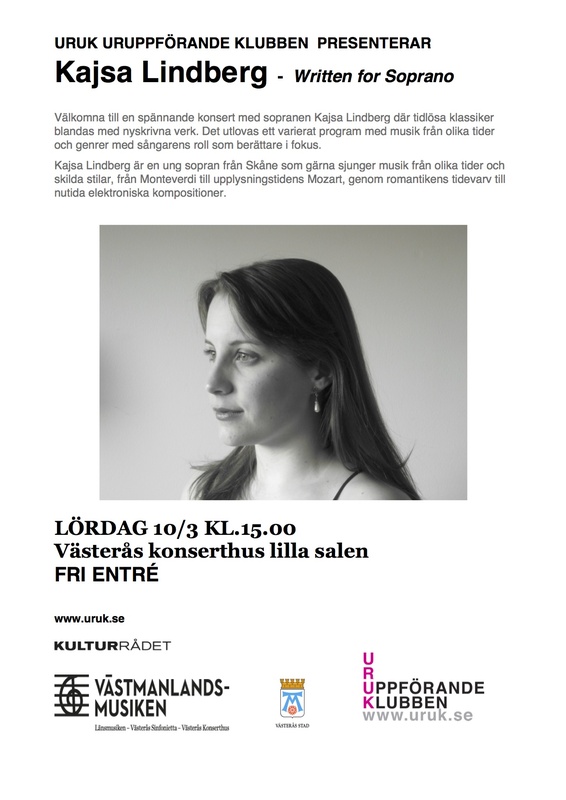 The pieces I have written include works for Norrbotten Neo, Blåsarsymfonikerna, Södra Latins kammarkör, Ivo Nilsson + Tora Thorslund, Arméns musikkår, Malva-kvartetten, Drottningholm Barock ensemble and Stockholm Saxophone Quartet. I have made several pieces for electronics and different types of installations, for example an audiovisual installation at Stockholm concert hall "Surfing soundwaves - Baltic sea" that was part of the summer exhibition in 2016. A similar installation was commissioned by Swedavia airports in 2018, and is currently exhibited at Stockholm Arlanda (Terminal 5). 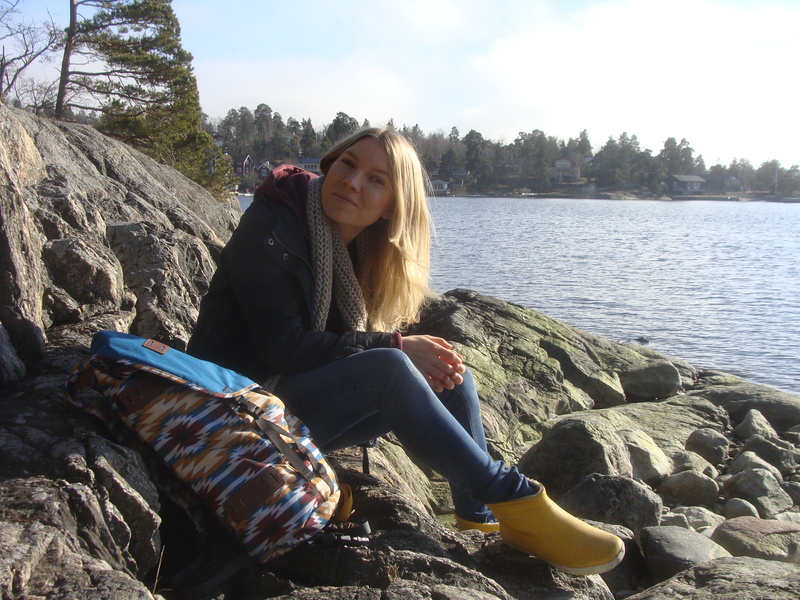 Studies include music production at Rytmus, composition at Gotlands tonsättarskola as well as the Royal college of music in Stockholm. 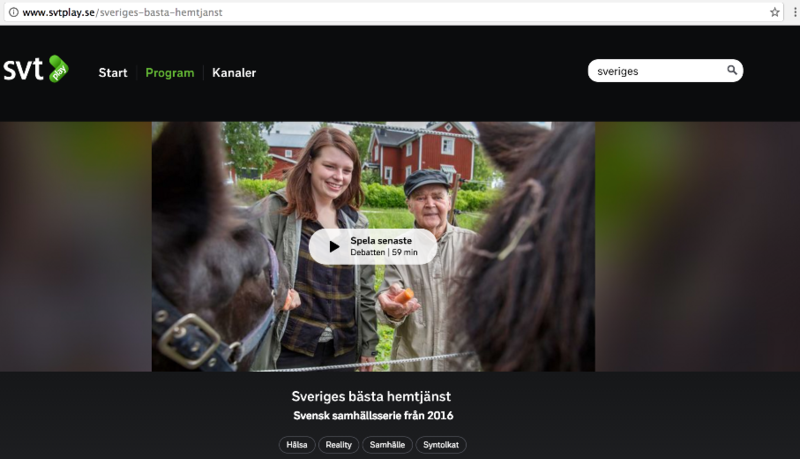 Another part of my work is writing soundtracks for shortfilms and TV - for example I made the music to a Kristallen nominated documentary series that was aired on SVT in 2016 ("Sveriges bästa hemtjänst"). I'm interested in enhancing different places, experiences with site specific music, as well as creating sound installations and environments. 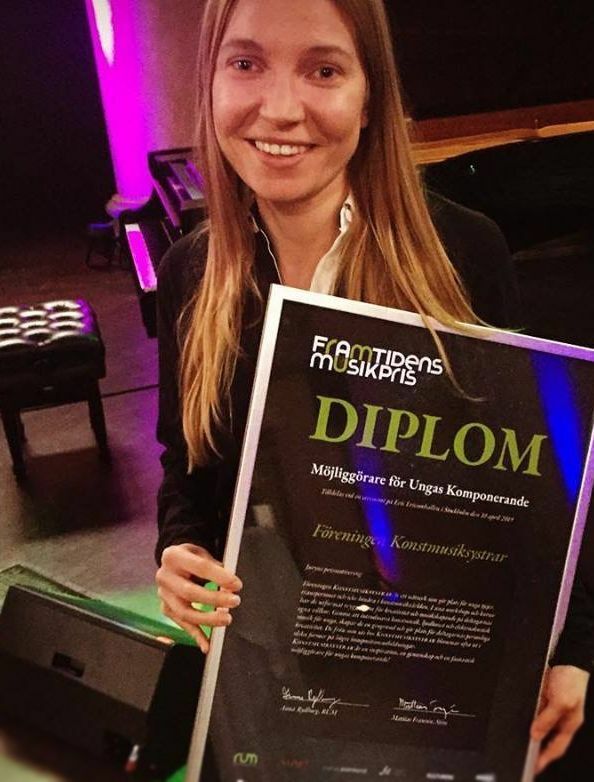 I'm a member of the Swedish society of composers/Föreningen svenska tonsättare, Board chair in Konstmusiksystrar/Sisters in Art Music (www.konstmusiksystrar.se), a board member in Uruppförandeklubben, Young Nordic Music/Ung nordisk musik (UNM) and Stockholm art music center (SAMC). 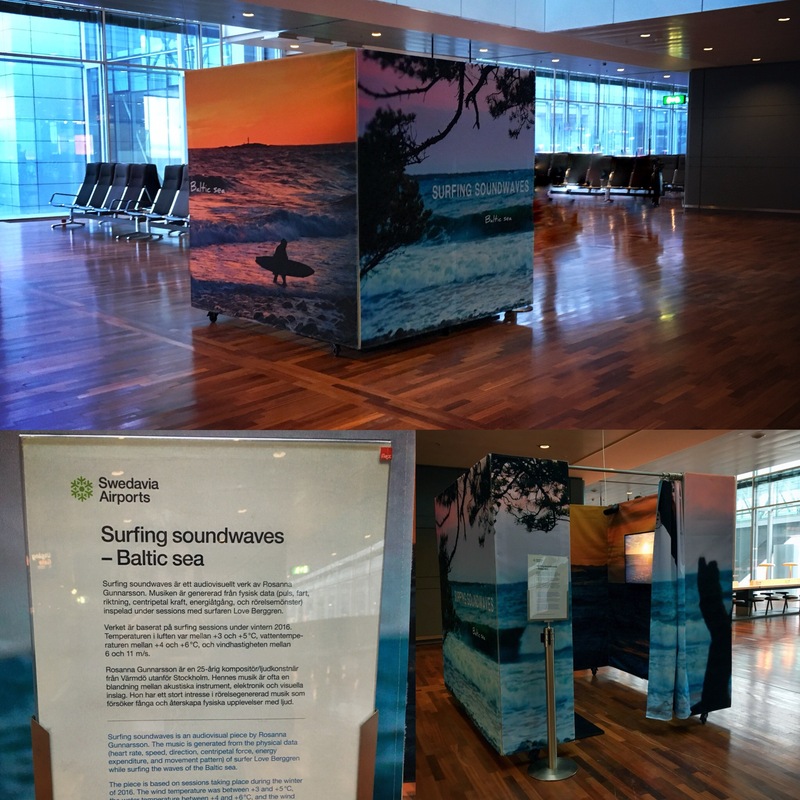 - I'm very excited and happy to have my piece "Surfing soundwaves" exhibited at Stockholm Arlanda Airport. It stands next to gate F32 at the newly opened pier and you can visit anytime you find yourself at Arlanda Terminal 5! 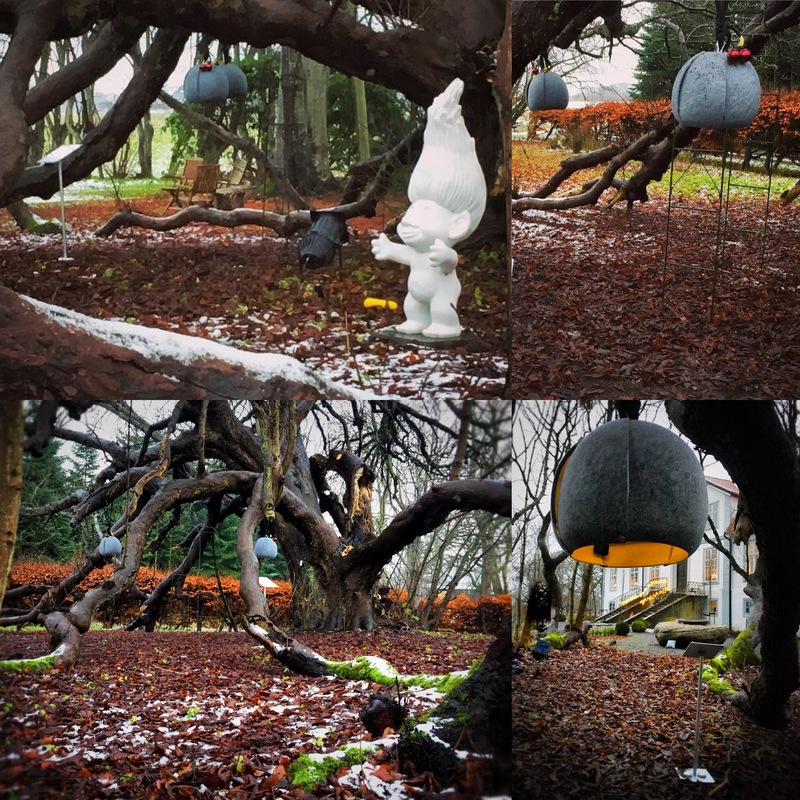 - During Kinnernet winter gathering 2018 at Kåseholm Castle in Österlen, I collaborated with Kåseholm and put up a sound installation in their chestnut tree (the oldest and largest one in the nordic region). 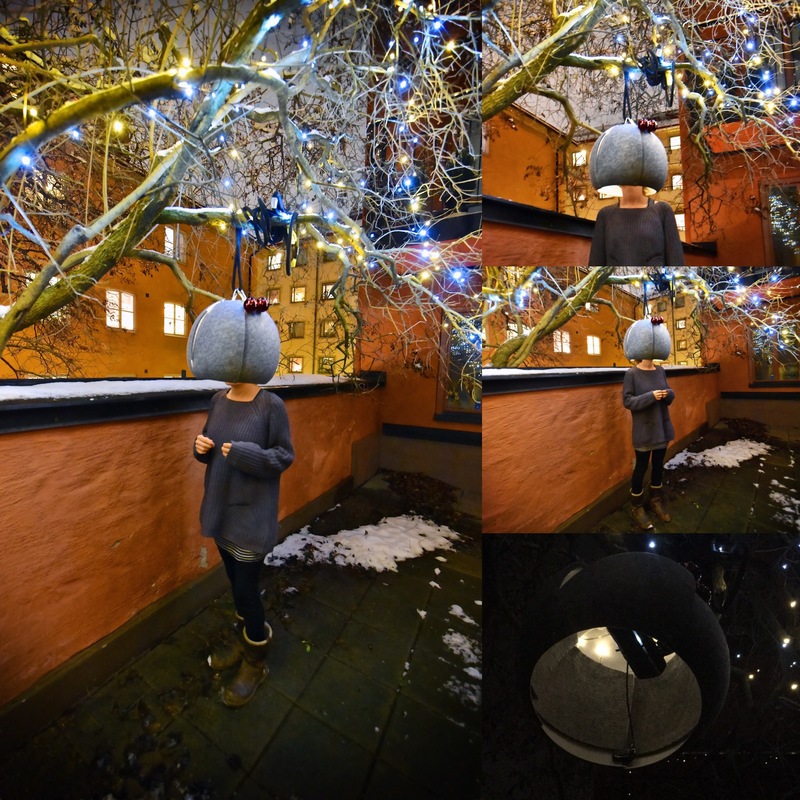 - PROJECT IN PROGRESS: In august 2019 during Rörstrands porcelain festival (https://porslinsfestivalen.se/) I will, together with sculptor and artist Tony Abrahamsson, premiere our collectively created sound sculpture! 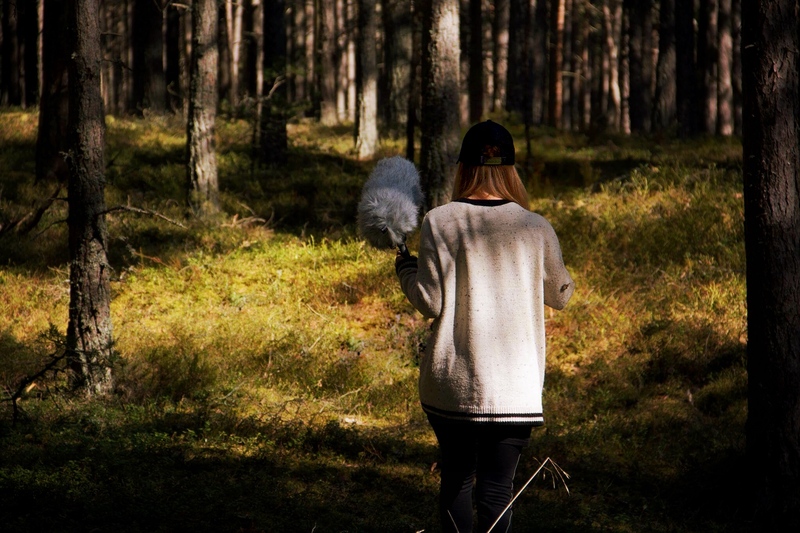 The project is commissioned by Musikcentrum Väst and Lidköpings Kommun (with support from Kulturrådet/swedish arts council and Västra Götalands regionen). - PROJEKT IN PROGRESS: Together with recorder player My Eklund, Cellist Emeli Jeremias and circus performer Hjalmar Risinger, I will during 2019/20 create and premiere a show for family and kids! 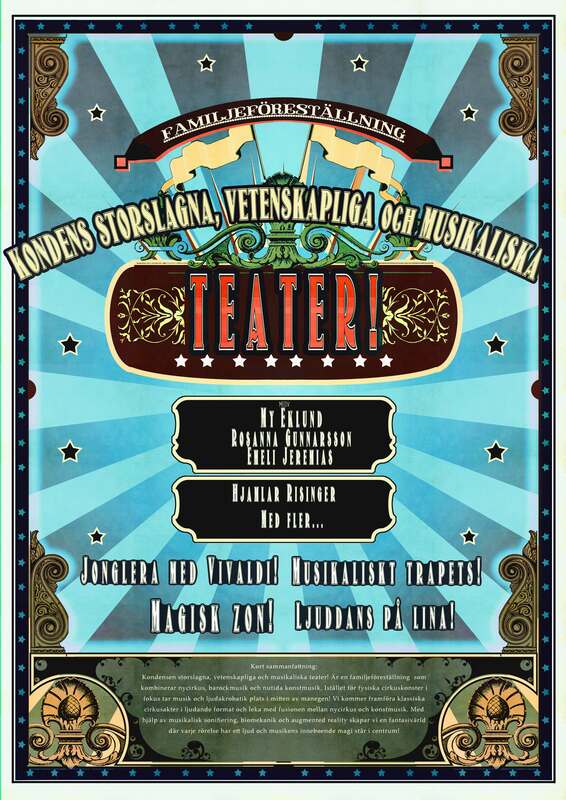 The show is called "Kondens storslagna, vetenskapliga och musikaliska teater!" and is a playful (and sounding) take of the classic varitée circus shows from the time of the genres birth. We will mix contemporary music and circus with baroque pieces, science, biomechanics and augmented reality! (with support from Kulturrådet/swedish arts council, Konstnärsnämnden/swedish arts grants committee and Musikverket/swedish performing arts agency). 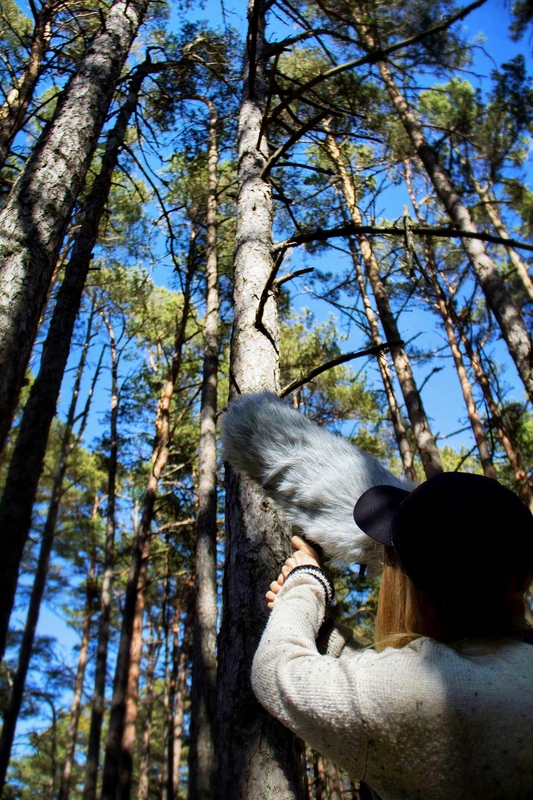 - During the festival Sound of Stockholm Konstmusiksystrar (Sisters in art music) did a collaborative sound installation featuring sound works from members Kajsa Lindgren, Julia Giertz, Aina Myrstener, Anna K Berglund and Charlotte Lundqvist. 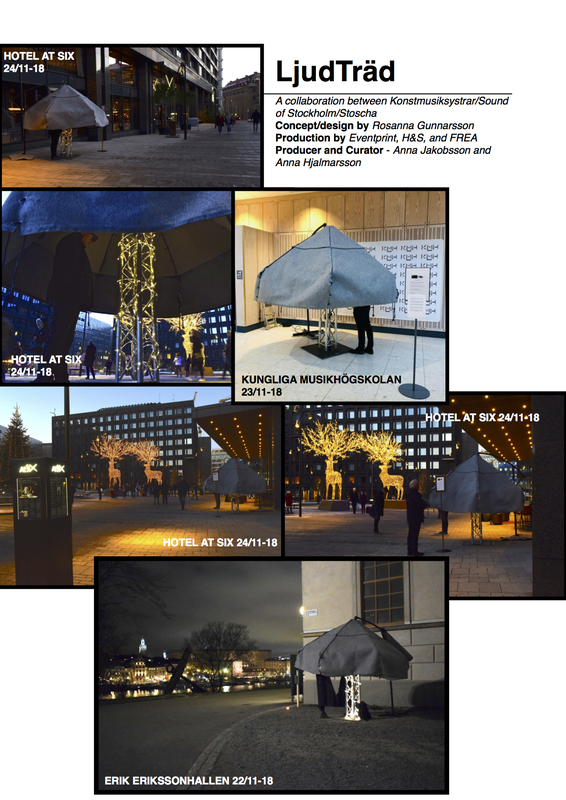 I designed the concept and visual appearance of the installation (with help from Caspar Hamilton/H&S, eventprint and FREA), Anna Hjalmarsson/Stoscha curated the selection, and Anna Jakobsson produced the installation. 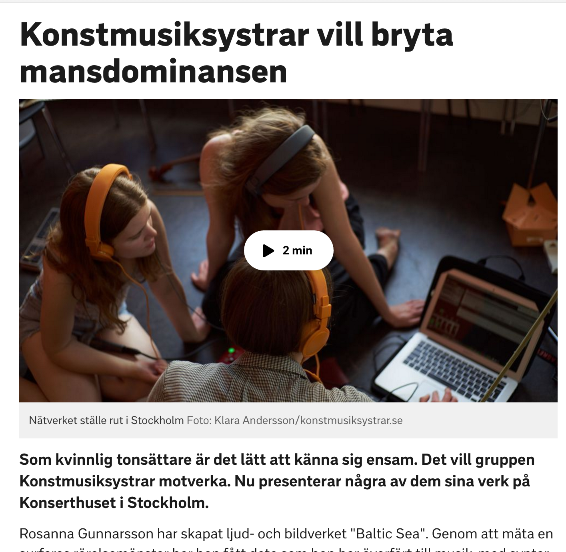 - Konstmusiksystrar (Sisters in art music), where I currently hold the fine position of being Board Chair, was recently awarded the title/price "Möjliggörare för ungas komponerande" by RUM (Riksförbundet för unga musikanter) in collaboration with STIM, SKAP, Arvsfonden etc. We are very happy and proud! Visit www.konstmusiksystrar.se for more info about the network/organisation. - I'm currently engaged in a collaboration with the swimclub TäbySim where we are exploring the possibility of using movement-generated and adapted music as a training tool - enhancing race-performance and deep learning (supported by the swedish society of swimming). - On april 27th my piece "Imagining a Grand Canyon" was performed by Jönköping sinfonietta, conducted by Christian von Gehren, at Kulturhuset Spira. It was a part of The society of swedish composer's annual orchestral presentation. 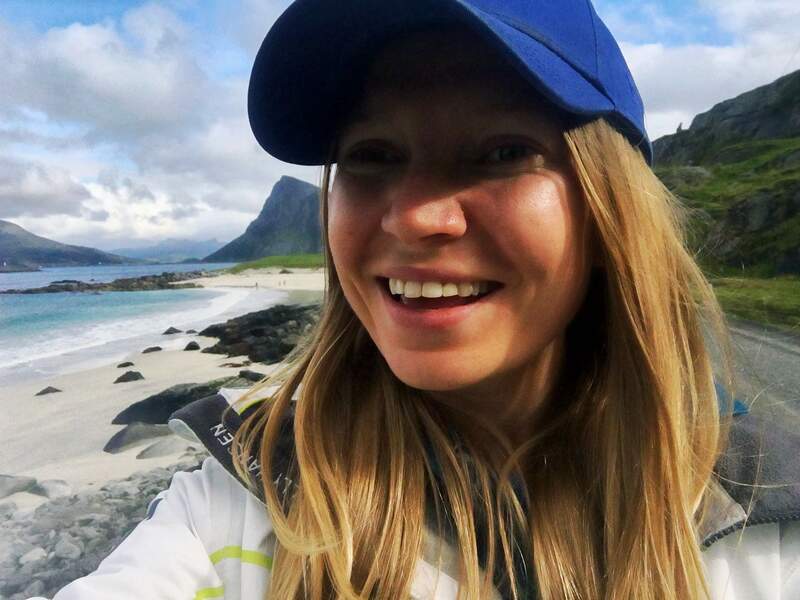 - I am now a part of MCV artist agency, you can see my profile here -> http://www.mcv.se/rosanna-gunnarsson-1/ and book either one of my pieces or something new through them! - On september 28th the Stockholm Saxophone quartet performed three of my pieces at a composer presentation in their studio at Tulegatan 53. 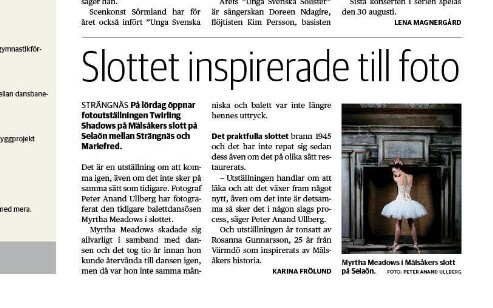 - From 3/6 to 3/9 an Exhibition called "Twirling Shadows" by photographer Peter Bodhi Anand Ullberg was shown at Mälsåker Castle. I made music inspired by the pictures and the castles that accompanied the exhibition. Read more about it below, and under "Showreal" you can hear the music. 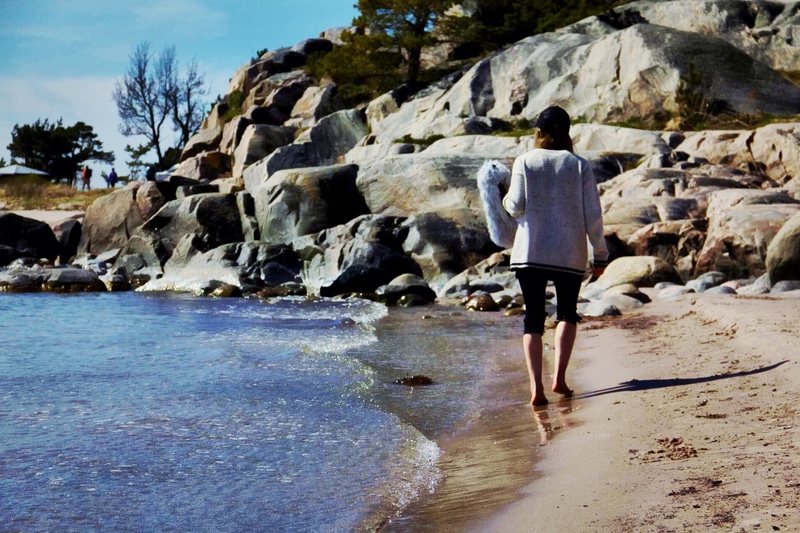 - My piece called "Surfing på svenska/Surfing in swedish" was performed by Jesper Nielsen (guitarr) and Isabell Gustavsson-Ny (piano) on march 18th in Västerås concert hall. I have an instagram @composer_ontheroad were the idea is to capture moments of sound in my everyday life and on travels - go check it out!